Barranca del Cobre, Copper Canyon, is a region in the desert of northwest Mexico that hosts some of the most spectacular and stunning natural scenery in Mexico’s inland territory. The area known as Copper Canyon is actually a series of twenty canyons, formed over the years by six rivers. The area is sometimes compared to Arizona’s Grand Canyon, although the Copper Canyon region is at least seven times the size, and has different topography, flora and fauna to the Grand Canyon. The Copper Canyon is in Mexico’s wilderness. The Tarahumara people, descendants of the Aztecs, still live a simple life in these canyons, as they have done for thousands of years. Today, they also sell their crafts and food to visitors who take the Copper Canyon Train Ride. You can see the Copper Canyon by hiking, biking, trekking, horseback, or four-wheeling; however, by far the most popular is to take the Copper Canyon Train Ride, which runs from Los Mochis to Chihuahua City and back again. The Copper Canyon railway is a stunning piece of engineering achievement. Opened in 1961 after decades of construction, the railway was designed to connect the Pacific Ocean with Mexico’s central desert territory and Chihuahua. The route continues to be a major freight connection between Chihuahua and the Pacific coast. The railway line is over 390 miles (650 km) in length, crosses 39 bridges (the longest bridge is over 500 meters long) and 86 tunnels (the longest over 1,500 meters long). The track starts at sea level at Los Mochis, and will rise to an altitude of around 8,000 ft (2,500 m) before descending into Chihuahua City which lies at around 2,500 ft (800 m) altitude. The line crosses some of Mexico’s most rugged terrain; hugging the edge of mountains and crossing deep ravines on its bridges. The scenery it travels through is truly breathtaking. The journey on the first-class express takes around thirteen hours if you ride straight through, although most people alight the train about half-way and stay at least one night in the heart of the canyons. It is a spectacular journey and well worth doing. You may buy your ticket in advance or buy a seat on the train on the morning that you intend to travel (subject to available space). Recent changes to the way the Copper Canyon railway is managed means that the railroad only puts on each day the number of cars for which they have advance reservations. If you just show up on the day you’re highly unlikely to get a ticket. Our travel service partner can arrange your Copper Canyon experience and ensure your journey is planned to get the most out of your visit to the canyons. High Season: If you plan to take the train journey between October and March, during the Easter Holidays or over Christmas/New Year, it’s essential to book your ticket in advance. Seasons in the Copper Canyon: Seasonally, May and June tend to be the driest months in the canyons. July to November are months when the rains are most abundant and the canyons’ flora show-off their deepest greens. Between December and May, the flora’s colors are in transition between the wet and dry seasons. See Local Climate information later in this guide for details about the weather and best months to travel. The First Class Express train makes several stops before its final destination. You can stay at any of the places the train stops, and spend a night or two there while you explore the local area; and perhaps take a horseback ride into the Canyons for a closer look. See Key Attractions below. You may just take the train ride for the view and experience as part of your trip to Mexico, or you could spend a few days to a week in the region, using the train line as your main route through the canyons and stopping overnight to explore and discover the local areas. Whatever way you choose to experience Mexico’s Copper Canyon, the most important piece of advice is to book in advance. This is not a place you can just arrive at and expect to find a hotel room and a train ticket—especially during the busy periods. A journey through Copper Canyon is one of the most rewarding journeys you can take in Mexico. The train ride itself is remarkable, the scenery is amazing, and the whole experience will become a lifetime memory for you and those traveling with you. This guide will give you an insight into what the Copper Canyon can offer and, hopefully, entice you to take this wonderful journey one day soon. There are two classes of train you can take; the First Class Express and the Economy train. First Class Train: Makes far fewer stops and offers reclining seats in recently renovated, pristine carriages with clean washrooms and toilets, a restaurant, and a club car. First class tickets can be booked up to 30 days in advance. The Economy Train: Leaves two hours later than the First Class train, is often delayed and makes more stops. Economy tickets cannot be booked in advance: you buy them on the day of departure. Both trains are air cooled/heated, depending on the time of year, although the Economy train doesn’t have a restaurant car—only snacks are sold by ambulant vendors. Unless you’re looking for a rustic holiday, are feeling adventurous and have lots of spare time and flexibility, it’s recommended that you take the First Class train, which offers better value for money. The two start/finish points are in Los Mochis and Chihuahua City. Two trains, one at each end, begin their journey at the same time each morning: 6 a.m. They meet in the middle, usually at the stop known as El Divisadero (the Divider), although there is also a crossover point at San Rafael and your train may wait there for the other one to pass. Most stops are quite brief—less than 5 minutes. The wait is longest—about 20-30 minutes—at Divisadero, allowing passengers to get off and look down into the deep Copper Canyon itself from a viewing platform situated there. It is far better to start the train journey from Los Mochis (or, better, the next stop at the Pacific end of the line: El Fuerte), and travel eastbound towards Chihuahua City, instead of the other way around. This is because the most dramatic scenery is situated between Creel and Los Mochis, so traveling from Chihuahua City will mean that you could end up traveling through the best parts of the canyon in darkness, instead of seeing them in the late morning when you travel from Los Mochis or El Fuerte. The eastbound train begins its journey at 6 a.m. (times may vary) from Los Mochis, and you can board the train from here if you want. However, we recommend you consider boarding the eastbound train from El Fuerte, situated about an hour and a half by road east of Los Mochis. By traveling to El Fuerte from Los Mochis the day before your train departs, you can enjoy this pleasant colonial town, spend the night there, and board the train when it stops here around 8:15 a.m. – giving you extra time to enjoy your breakfast. You don’t miss any dramatic scenery on the train between Los Mochis and El Fuerte. Many tour operators begin their itineraries from El Fuerte and arrange for their clients to be transferred from Los Mochis airport direct to El Fuerte, by-passing Los Mochis terminal completely. Our travel partners can help you to Plan Your Mexico Trip to the Copper Canyon. Most of the dramatic scenery of the canyon is situated between Los Mochis and Creel. It’s a long journey from Creel to Chihuahua City and the scenery is not nearly as dramatic on this stretch. If your plans involve traveling through Chihuahua City, you may take the train from Chihuahua to Divisadero and back to Chihuahua, but you will miss the best scenery of the Copper Canyon Train Ride. We do not recommend this. See note above in red text about the importance of starting in Los Mochis or El Fuerte. Many organized tours start and end in Los Mochis – they provide stay-overs and other activities at and around El Divisadero, and then return to Los Mochis. If subsequent travels from Los Mochis include going to Baja California, in addition to regional flights there is a regular ferry service (now upgraded to a faster Catamaran) from Topolobampo (near Los Mochis) to La Paz, which gets you to the Baja California peninsula. Onward to Chihuahua City – Alternatively, you could re-board the train after a stay in/around Divisadero and then travel onward to Chihuahua City. There are regular flights between Chihuahua City and Mexico City, as well between Chihuahua City and Houston and Dallas in the USA. The First Class train makes seven stops, although only five of the seven will hold much interest to most travelers, so we’ve outlined those five plus the starting and ending points on this section. Most stops only last a few minutes—not enough time to get off and wander around, except for the one at El Divisadero, where the train stops for 20-30 minutes. All stations have ambulant vendors, often Tarahumara indians selling their fine handicrafts. We highly recommend consulting one of the many tour operators in the Copper Canyon region for purchasing your first-class tickets. Not only will the tour operators procure your tickets, but they can also arrange a complete tour package, including meals and lodging. There are ticket windows at the Los Mochis or Chihuahua City train stations, but they should be used only if you wish to purchase an Economy ticket, which can only be bought on the date of travel from the station one hour prior to departure. First Class tickets, if any are available, may also be bought this way. If you plan to make a stopover (see Making Stopovers, below) then your seat (First Class) will only be guaranteed for the first leg of your journey. When you re-board the train, you will need to take pot-luck on seating. You cannot buy an “open” ticket. You must specify what dates and times you intend to travel, and you will be issued with tickets accordingly. The sale of tickets is tightly controlled to ensure safety and comfort for all passengers, so work out your itinerary and stick with it, unless you’re on a very flexible holiday, and you are happy to take your chances with ticket availability on the days you feel like traveling. First Class tickets may be bought up to 30 days in advance from tour agents, via telephone or on the Internet. It’s best to use the services of an agency when booking your journey and buying tickets, as you will also need to have transport and accommodation arranged at both ends of the journey. Due to the nature of this destination, you are likely to get more out of your visit to the Copper Canyon by letting people who know this area and its attractions well plan and organize a journey for you. Lots of people like to spend a few days—some up to 10 days— exploring the Copper Canyon region, by riding the train through it, and stopping off at various points en route, taking up lodging for the night and spending the next day or two exploring the land before boarding the train to the next stop. Getting off the train and adventuring into the valleys is a great way to see the Copper Canyon, as you’ll experience a lot of features and attractions that are not accessible from the train. The other advantage is that you’ll get time to take in the scenery around you. If you see something you like, you can stop to absorb it, instead of watching it disappear into the distance! Local activities include horseback riding, helicopter trips, and canyon hikes. An agency can discuss the options with you and make arrangements according to your preferences and budget. Most tour operators make use of the train coupled with detailed trips into the canyon and using a tour operator is the best way to get the most out of your journey to the Copper Canyon. See Guided Tours, below. Los Mochis (meaning “Place of Turtles”) is situated on Mexico’s Pacific Coast, about 310 miles (500 km) northwest of Mazatlan. It is an important industrial port on the Pacific. From a tourist’s viewpoint, there’s little to see and do here: Its primary tourist functions are to provide a ferry to La Paz and act as the Western Terminus for the famous Copper Canyon Train Journey. Some people use Los Mochis as a stop-over point and enjoy some of the tastiest seafood available anywhere in Mexico during their stay. However, the best option is to fly to Los Mochis and get a transfer from the airport to El Fuerte, a beautiful colonial setting just inland from Los Mochis. This might be your starting point on the train journey if you didn’t start at Los Mochis. We recommend you begin your journey in El Fuerte, after one or two night’s stay here so that you may enjoy this beautiful place. El Fuerte means “The Fort”, although only a replica of the fort that once stood here exists now; you can find it at the summit of the Mirador (lookout), which you’ll get to by climbing the hill there. The view is well worth the climb. El Fuerte was founded by Francisco de Ibarra, a Spanish conqueror back in 1564. The town was an important center in colonial times, and for some years it was the capital city of Sinaloa state. The cobbled streets, colonial buildings (the plaza, palace, church) and colonial atmosphere make this one of the nicest towns on the train’s journey, and it’s well worth a stopover for a day. As mentioned earlier, we recommend you choose El Fuerte as your boarding point for the train, as the town is very accessible and much more picturesque than Los Mochis. Taking this option also means that you don’t have to get up excruciatingly early to catch a 6 a.m. train from Los Mochis. The train from El Fuerte departs at approximately 8:15 a.m. (times may vary) giving you extra time to rise and enjoy breakfast before your train journey. Most tour operators begin their itineraries from El Fuerte and arrange for their clients to be transferred from Los Mochis airport direct to El Fuerte, by-passing Los Mochis terminal completely. Bauhichivo isn’t a town, it’s a train depot. The place never existed before the train line was built. However, just 6 miles (10 km) from this stop is Cerocahui (pronounced “seh-roh-KAH-wee”), a small village with less than 1,000 inhabitants and three luxury hotels. Cerocauhui is the first village inside the canyon wilderness, and apart from being a quaint little place to see and explore (it’s an old colonial hamlet) it’s a great place from which to explore deeper into the canyon. The hotels here offer spectacular views, and all of them arrange excursions into the canyons: Horseback rides that take you through stunning scenery, marvelous waterfalls and secluded areas of natural beauty. You can also arrange for excursions to Cerro Gallego, which surrenders spectacular views of Urique Canyon. Urique is an old silver mining town. These two stations have been grouped together, as they are less than 2.5 miles (4 km) apart. If you are just taking the train ride and not stopping en route, then this is your only chance to get out and see a spectacular view of the Copper Canyon, as the train stops long enough to get off and see the scenery standing still. This stop leaves you about 7,500 feet (2,400 m) above sea level, on par with Creel— and for this reason, the views are breathtaking. If you buy a package tour across the region, it’s going to include a stop-over from here, as the hotels offer great views and horse-back excursions into the canyon, which are very popular and come highly recommended by all who have experienced them. If you’re traveling from Los Mochis, you’ll arrive at Barrancas first. If you are traveling from Chihuahua, then you’ll stop first at Divisadero. This is where the train stops for 20-30 minutes, and the place where you’ll get the views described above. The Tarahumara indians will be here selling their fine handicrafts, wood carvings, pine baskets and dolls—and much more besides. Don’t miss the opportunity to buy something really unique and special from these people. Cash only, in Mexican pesos. All of the main hotels at Barrancas & Divisadero have mini-buses that pick up guests from the train station. A tour operator can advise you further on this location and make arrangements for transport and accommodation on your behalf. With a population of less than 4,000, Creel is a small town at a high elevation, at the heart of the Copper Canyon train journey. The town is surrounded by pine forests, and is, in fact, a lumber town; the town’s mill is still there today, and during the summer months, the sweet, natural aroma of pine fills the air around you. The town is worth a stop-over in order to be able to take advantage of the excursions available from here. They include a day trip to Cascada de Basaseachi (waterfalls), claimed to be the tallest falls in North America; Recohuata Hot Springs Excursion; and Batopilas—an old silver mining town about 87 miles (140 km) away from Creel, so an overnight stay will be required there. Many of these tours will be very long days and could involve hiking. Creel will afford you the opportunity to do a bit of shopping at some of the craft shops there, as well as to replenish your cash supply at the ATM in town. A tour operator can make arrangements for an excursion, transport and accommodation on your behalf. Chihuahua (pronounced “chee-WAH-wah” – the ‘h’ is silent in Spanish) is Mexico’s largest state, and Chihuahua City, its capital, is Mexico’s most prosperous city. Its wealth is built on mining, livestock, timber and more recently, the modern assembly plants known as maquiladoras. When you arrive here, you’ll see lots of men in boots and hats— this is Mexico’s cowboy country. The historical center has some handsome colonial architecture, wide roads and fine colonial buildings, and its cathedral, completed in 1789, is admirable. Pancho Villa, the famous revolutionary, lived here; you can visit the house which is also a museum about the Mexican Revolution. Discover Chihuahua and connect to hotels and local services there using the Mexperience guide to Chihuahua City. Most of the hotels inside the Copper Canyon region can arrange for you to take a horse ride into parts of the canyon. Some of the hotels are actually ranches, and the horses are provided by the hotel itself. Regardless of your horseback riding experience, you’ll have the opportunity to experience this great region on horseback, an eco-friendly and exciting way to see the Copper Canyon wilderness! A tour operator can make arrangements for transport and accommodation on your behalf. Helicopter rides above the canyon wilderness are available from certain places. 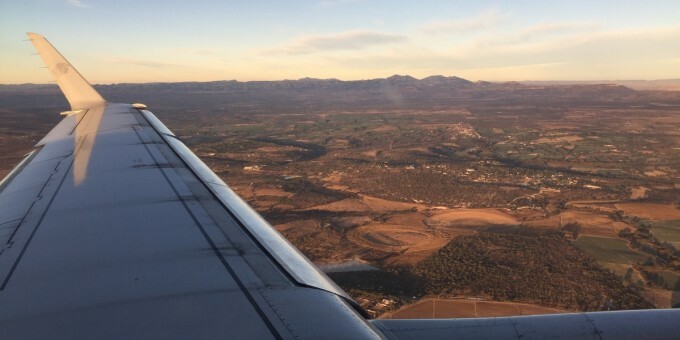 By Air to Los Mochis – You can fly to Los Mochis from various airports in northern Mexico and from Mexico City, as well as a small number of US cities. Los Mochis Airport is about 12 miles north of the city; ground transportation and taxis are available into town; most tour operators arrange for you to be picked up from here and transferred directly to El Fuerte. For detailed information about flights and flying, see the Mexperience guide to Air Travel in Mexico. By Ferry to/from Los Mochis – There is a ferry service that crosses the Sea of Cortez (also known as the Gulf of California) to and from La Paz to the port cities of Mazatlan and Los Mochis (Topolobambo). The ferry trip to/from Mazatlan takes 18 hours and does not run daily; sleeping cabins are available with advance bookings. The ferry to/from Los Mochis (Topolobambo) takes around 8 hours and does not sail daily either. A catamaran ferry service is available on some dates and routes which cuts down the journey time considerably. Check the Ferry’s web site at: http://www.ferrytmc.com/ for details of routes, schedules, prices and contact details. By Air to Chihuahua – Chihuahua City’s airport is well served by all main airports in Mexico as well as a good number of cities in the USA. Ground transportation and taxis are available from the airport into the city center – which is about a 30-40 minute journey. For detailed information about flights and flying, see the Mexperience guide to Air Travel in Mexico. By Bus to Los Mochis – Los Mochis is not as well served by buses as Chihuahua City, but you can get there by bus and then either take a short cab ride or a local bus connection to the train depot which is on the outskirts of town. Note: the train leaves early in the morning from Los Mochis so it’s advisable to arrive the day before. By Bus to Chihuahua – Chihuahua is very well served by buses from all major routes in northern Mexico as well as from Mexico City. For detailed information about bus transportation read the Mexperience guide to Bus Travel in Mexico. By Car – Highway 15, which runs along the coast connecting the US border, from Los Mochis and then all the way down to Guadalajara is a fast, well maintained toll road. Chihuahua is well served by good roads from all four compass points. Try to do your driving during daylight hours and where possible, stay on the toll roads to speed your journey. Click the links for more information about Driving in Mexico and Mexico’s Toll Roads. Important Tip: To see the best parts of the canyon (between Divisadero and Los Mochis), you need take to take the train and START at Los Mochis (i.e. travel eastbound) as nightfall (especially in the fall and winter months) will obscure some of the best views once the train reaches the western side of the canyon. Taxis – Los Mochis and Chihuahua’s Taxis are NOT metered, so agree your price before you get in. Taxi travel is very affordable in Mexico, in comparison to the USA, Canada and Europe, and so provides a viable means of public transportation in Mexico. Your hotel can arrange taxis for you; some post their rates on a board in the lobby; taxi hotel rates are usually higher than cabs you hail off the street. If you speak Spanish, you will have a distinct advantage in your negotiations with local taxi drivers. For detailed information, read the Mexperience guide to Taxi Travel in Mexico. 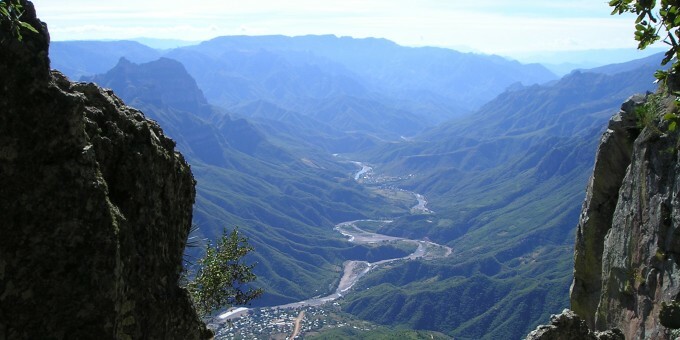 Most people who travel to and through the Copper Canyon will use the services of a specialist agent or tour company; they are run by people who know the canyon intimately, and who have many local contacts that provide the necessary transport and accommodation services as well as a wealth of local knowledge and experience. Although it’s possible to arrange your train and hotels directly and visit the canyon independently, by using the services of a professional tour company, you are likely to get the most out of your visit here. The canyon region really is vast and the local knowledge that specialist tour operators have will ensure that the limited time you have available will be well programmed through a tried-and-tested itinerary and local guidance given by experienced tour guides. Important Note: To see the best parts of the canyon (between Divisadero and Los Mochis), you need take to take the train and START at Los Mochis (i.e. travel eastbound) as nightfall (especially in the fall and winter months) will obscure some of the best views once the train reaches the western side of the canyon. Telephone: Connect to the guide about Communications in Mexico on Mexperience for detailed information about keeping in touch while you’re in Mexico. Exchanging Currency: Plan your currency requirements carefully if you’re traveling in the Copper Canyon. Banks with ATM machines can be found in Los Mochis, Chihuahua City and Creel (inside the canyon area), but very few places besides. Read about currency exchange in Mexperience’s Money Section. Be sure to carry sufficient cash to cover the cost of buying things from people and places unlikely to accept cards or traveler’s checks in the Copper Canyon—in other words, everywhere except good quality hotels. Travel Insurance: We recommend that you are adequately covered with travel medical insurance and/or travel assistance insurance when you are visiting Mexico. Read the Mexperience guide to Travel Insurance in Mexico for full details and links to specialist insurance suppliers. Internet Access: You’ll find Internet cafes quite easily downtown in Chihuahua and Los Mochis. Inside the Copper Canyon, access to the internet is scarce; some of the more expensive hotels located inside the canyon may offer internet services. Don’t miss the opportunity to buy fine art and craft work from the local Tarahumara Indians in the canyon. Their specialized works include pine baskets, dolls, violins, rugs and blankets, flutes, drums, pottery and traditional clothing and wood carvings. Everything is unique and hand-made. Stock up with plenty of pesos in cash before you set out on your journey: traveler’s checks and plastic are no good for purchases made from the indigenous traders living in the canyon. Remember to take cash with you — in Mexican Pesos — as the local artisan traders will not have credit card facilities and prefer local currency. The climate in this region changes with the seasons and heavily influences the times when most people travel through the canyon. Seasonally, May and June tend to be the driest months in the canyon. July to November are months when the rains are most abundant and the canyons’ flora show-off their deepest greens. Between December and May, the flora’s colors are in transition between the wet and dry seasons. March & April and October & November are the two busiest times at the canyon. This is because they are times of the year when the climate is at its most temperate. During the high summer months, temperatures in Los Mochis and El Fuerte are hot and humid. In the winter, some snow may fall in higher areas of the Canyons, although that does not impede tours and activities. If you don’t want to be among the high number of visitors here, then you should travel July through September. This is the rainy season, but the rains will be monsoon-like: thunder, lighting, drenching downpours, and then it’s gone. They cool down the hot days perfectly. The other big advantage of these rainy months is that the abundance of water makes the canyon come alive—its flora become lush with hues of deep emerald green, and its rivers deep and gushing. May and June are generally dry months: Water shortages are common, the land is arid, dry, dusty, and less inspiring. It’s best to avoid the area in these months, unless you have no other choice, or have been before and want to see the contrast. 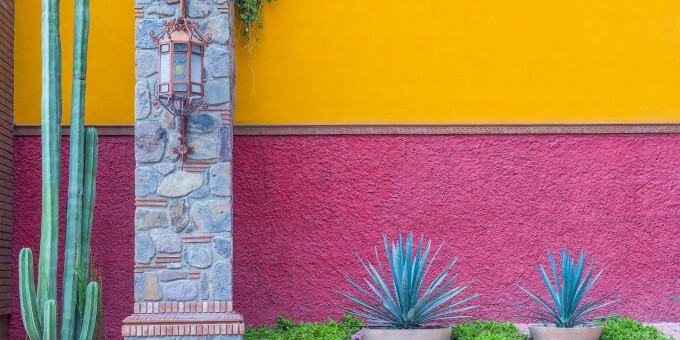 Our free newsletter about Mexico brings you a monthly round-up of recently published stories and opportunities, as well as gems from our archives. Copyright © 2019 Mexperience Ltd.